A few days ago Sony unveiled the Xperia Z5 Compact, alongside the Xperia Z5 and Xperia Z5 Premium, on the grounds at IFA 2015 in Berlin. The smallest of the three phones launched by the Japanese company, the Xperia Z5 Compact features a 4.6-inch IPS LCD capacitive touchscreen display that supports HD (720p) resolution and features scratch-resistant glass and oleophobic coating. Well, just a few days after Sony introduced the phone, it has become apparent that another version of the phone is being prepped for Sony’s domestic market, Japan (as seen at Android Authority). It’s not unusual to see exclusive versions of international phones being released in the country as Japan has a different consumer base altogether. What will the Sony Xperia Z5 Compact Premium be all about? 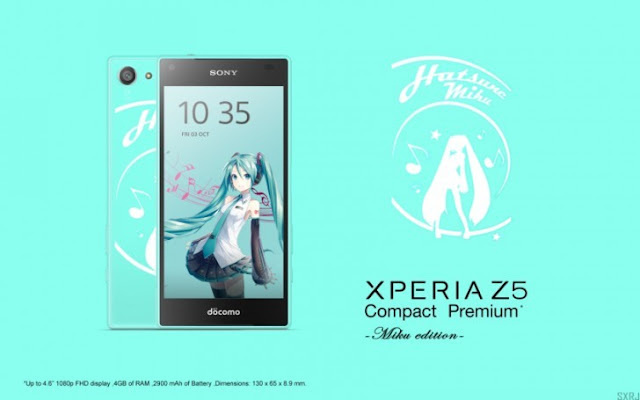 The phone will go on sale as the Xperia Z5 Compact Premium and will be available via Japanese carrier NTT DoCoMo. Unlike the Xperia Z5 Compact, the Premium version will feature a better, 1080p resolution (1920 x 1080 pixels) on a 4.6-inch display. The device will take advantage of the same Snapdragon 810 which is powering all the members of the Xperia Z5 family. However, we are spotting a major difference in the RAM department. Apparently, the Xperia Z5 Compact features only 2GB of RAM while the Xperia Z5 and Xperia Z5 Premium have 3GB of RAM onboard. By contrast, the Xperia Z5 Compact Premium will have 4GB of RAM, which is a bit odd, considering that even the 4K-screened Xperia Z5 Premium doesn’t have that much RAM storage onboard. We’re also told the phone will be sustained by a 2,700 mAh battery. The rest of the specifications are said to be the same. Even so, we’re yet to see an official confirmation from Sony or the Japanese carrier DoCoMo, so take the information with a pinch of salt. It’s not uncommon for Sony to release several versions of its flagships. For example, the Xperia Z3+ was launched with a 1080p display, yet shortly afterwards Sony said it would launch a version of the phone with QHD display under US carrier, Verizon. If the report turns out to be true, the Xperia Z5 Compact Premium would make for quite a phone, don’t you think?